Cinema in western Germany causes uproar after offering free entry to showings of Schindler's List to far-right party. A cinema in western Germany has caused a stir after it offered free entry to showings of Schindler's List to members of the far-right Alternative for Germany (AfD), Deutsche Welle reports. The Cinexx movie theater in the town of Hachenburg is set to show the 1993 Oscar-winning film directed by Steven Spielberg, which depicts some of the horrors suffered by European Jews during the Nazi era, on January 27 – International Holocaust Remembrance Day. Although the cinema would normally charge an entry fee of $8 to customers, it extended an offer of free admission to members of the AfD, according to Deutsche Welle. The initiative caused an uproar, with party members complaining that they felt insulted that their party should be linked to the Holocaust. The party indeed has a history of controversial statements, particularly surrounding the Holocaust. Party member Bjoern Hoecke caused a firestorm in February of 2017 when he suggested that Germany should end its decades-long tradition of acknowledging and atoning for its Nazi past. Germany's vice chancellor, Sigmar Gabriel, blasted Hoecke over the remarks, as did Germany's Central Council of Jews. Hoecke ultimately apologized for his controversial remarks. In June, AfD leaders ended a drive to have him expelled. Party co-leader Alexander Gauland in June described the Nazi period as a mere "speck of bird poo in over 1,000 years of successful German history". The cinema’s offer was met with disdain by the AfD in the state of Rhineland-Palatinate, where Hachenburg is located. "We find the fact that the AfD is being linked to the Holocaust, the industrial mass extermination of people of the Jewish faith, to be an unspeakable mistake," the state party told German public broadcaster SWR. In a statement, the cinema said it had received numerous messages of support, as well as some that were critical of its actions and even threats. 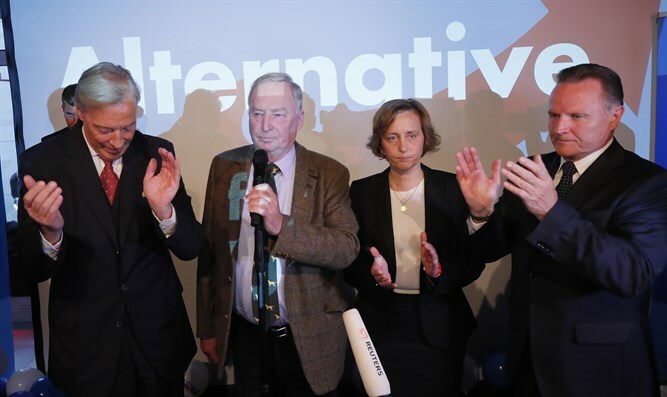 The theater said its aim was not to exclude or defame the AfD, but rather to spur discussion about the Holocaust among members of a party that has trivialized the extermination that occurred under Nazi rule. "That so many feel so powerfully attacked is not our intention and is incomprehensible to us. We are not saying AfD voters are Nazis. Whether or not you need historical enlightenment is at your own discretion," its statement read, according to Deutsche Welle. "In our opinion, however, the AfD's party program strongly suggests a trivialization of the events of that time," added the statement.